Some words, like fashion fads, appear in the language and disappear without a trace soon thereafter. 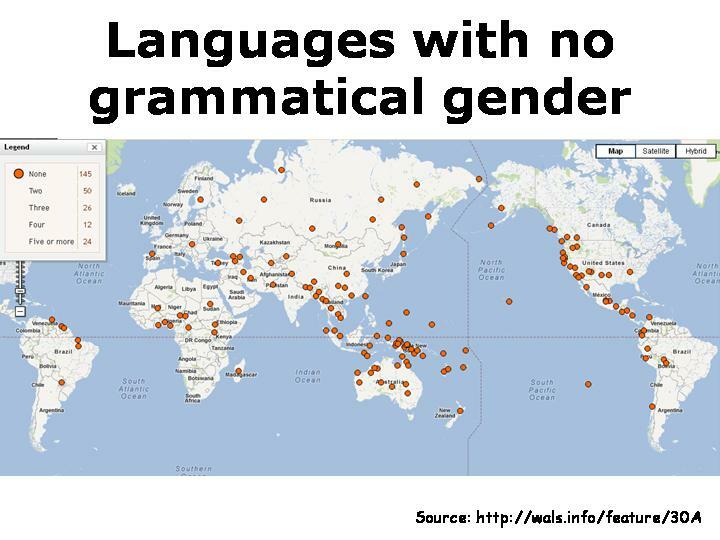 Other words (and morphemes) are much more conservative. 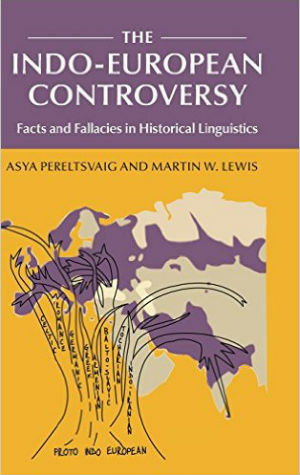 In this brief post, I will cite just two examples of highly conservative lexical elements, those that are preserved across huge distances. The first example comes from the Turkic family, which stretches from the Balkans to northeastern Siberia (see map below). 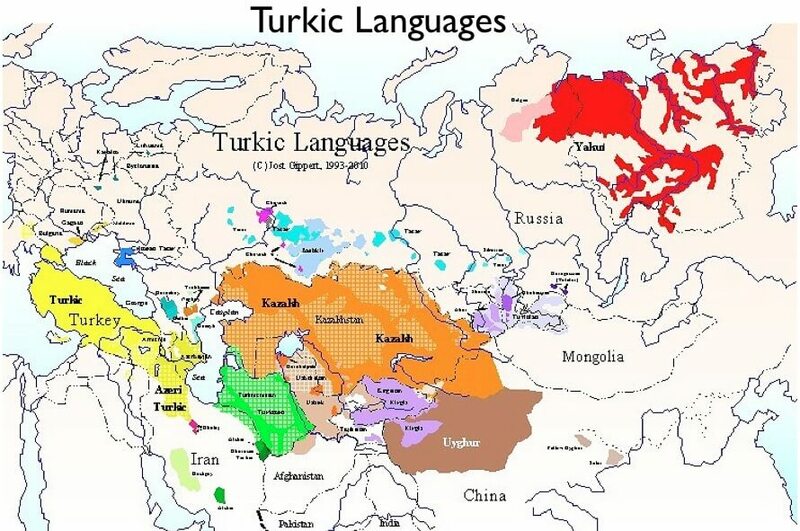 Despite the expanse covered by Turkic languages, contact with other languages, and contact among various languages within the family, some lexical elements are highly conservative. Among them is the plural morpheme, the suffix /-LAr/. 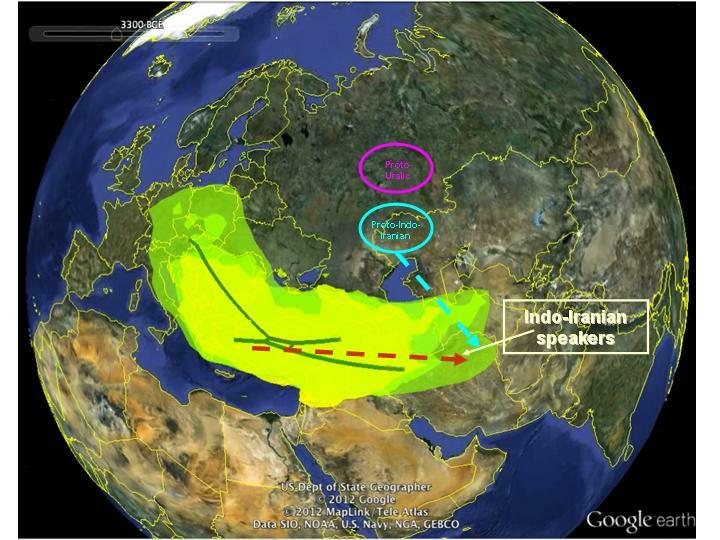 In most Turkic languages it exhibits vowel harmony and in some languages also consonant assimilation. 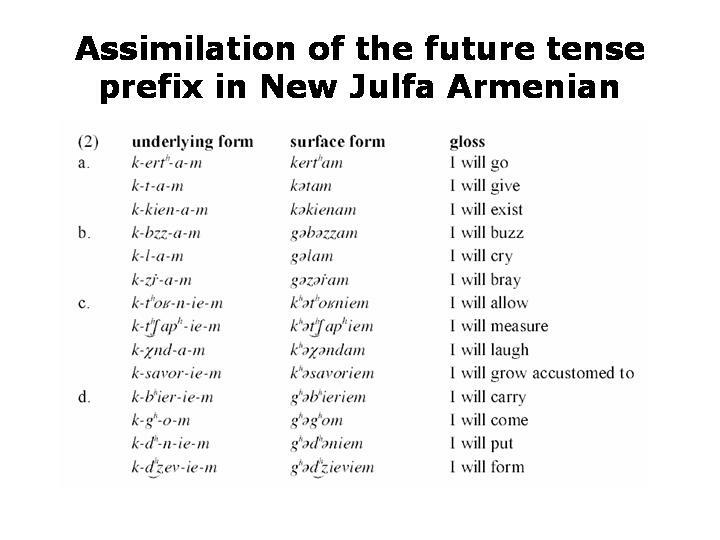 For example, in Turkish the plural suffix is subject to vowel harmony: for example, ağaçlar ‘trees’ but evler ‘houses’. In Sakha (more commonly known as Yakut) the plural suffix is subject not only to vowel harmony but also to consonant assimilation: depending on the preceding consonants and vowels it may surface as -lar, -ler, -lör, -lor, –tar, -ter, -tör, -tor), –dar, -der, -dör, -dor, -nar, -ner, -nör, or -nor. 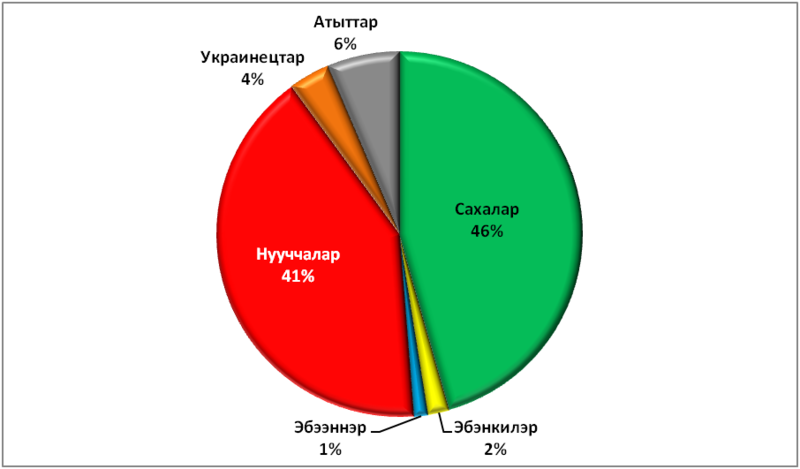 Some of these forms (in Cyrillic, commonly used for Sakha) are illustrated in the population chart above. Curiously, in Sakha the plural is used only when referring to a number of things collectively, not when specifying an amount. 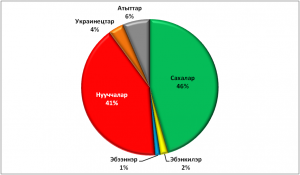 The one Turkic language without vowel harmony is Uzbek: here the plural suffix always surfaces as -lar. Another example of a highly conservative lexical element, preserved over huge distances, comes from Austronesian languages (see map below). The word for ‘five’ is pretty much the same across the Austronesian family, which stretches from Madagascar to the far corners of the Polynesian triangle. In Malagasy, the Austronesian language spoken on Madagascar, ‘five’ is dimy. Nima is the form found in Tongan. Several other Austronesian languages, including Thao (on Taiwan), Rapanui (on Easter Island), Maori (in New Zealand), and Rarotongan (on Cook Islands) have rima for ‘five’. 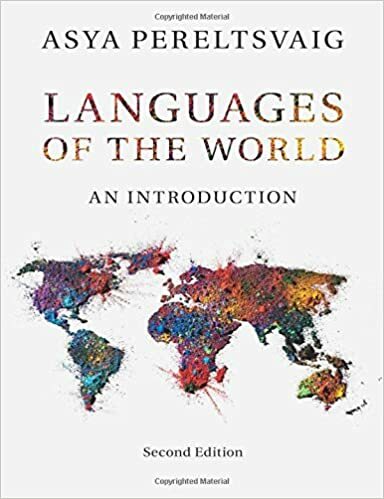 But the even more commonly found form is lima, which is attested in Samoan (in Samoa), Tuvaluan (on Tuvalu), Hawaiian (in Hawaii), Fijian and Rotuman (both on Fiji), Cebuano and Tagalog (both in the Philippines) and Malay (in Malaysia).